We are bracing for Hurricane Irene. Connecticut is supposed to see the heaviest rain from midnight tonight through the afternoon tomorrow. The hurricane force winds are expected to start first thing tomorrow morning. We will hopefully be in the clear by Sunday night. I've never been through anything like this, so I'm pretty nervous. I've got 10 gallons of bottled water and enough non-perishable food to last a lifetime (I may have overdone the storm preparations :) The water aisles in the grocery stores are empty, and I don't think there's a D battery left in any store in the state (Believe me, I've looked). I read in the newspaper yesterday that we could be without power for a week if things are as bad as they think they are going to be, so you may not hear anything from me for a little while. Fingers crossed that we come out on the other side of this smiling. I'm here in Western Mass.! I'm pretty nervous too. Good luck to you and yours! I am in the same boat. Bracing for the storm. I was lucky enough to snag some D batteries, they were the last pack! Good luck and be safe! You can never overdue the preparations for a hurricane. I live in Florida I have prepared, and gone through many of them. Some of them we have actually had normal everyday thunderstorms that were worse than the hurricane. Last I checked it was a 2, as long as you don't live on the coast or in a really low lying area, you will be fine. Hope you have handwork to keep you busy, and another way to cook besides the stove top. After it is gone, and the rain and winds stop, pop your tent in the backyard while the power is out, and go camping in your own yard. Enjoy it, it won't last long and you will have the electricity back on, and resume life as you knew it before Irene paid her visit. Thinking about you- A-LOT!! Hope you guys weather it just fine. (sorry- had to do it) Please let us know how you are. Hope everyone comes out of this okay. Stay safe!! I'm in NYC and still preparing. It's really freaking me out!! Be safe.....we are just waiting for this shoe to drop. It's raining a bit now! I am here with you in CT!! Keeping my fingers crossed for us! I'm so glad you're prepared. Hang in there. Lots of love your way and prayers for safety too. I'm here in CT too! I went crazy and set up a total command post as well... I'm ready for ANYTHING at this point (I hope). Stay safe!! hope you stay safe, thinking about you guys! I didn't realize this is where you are from. Wow. Hang in there. I will be hoping and praying for all of you. Good luck and stay safe. I know what you're going through. Seen a few hurricanes here in Lafayette, La. Thinking of you and praying for safe havens for all on the East Coast. Keeping your family in my thoughts. Stay safe! we are in the thick of it right now and still have power!!! Stay safe and I hope it is uneventful for you guys too! I'm in North Carolina and luckily we were far enough inland to escape most of it. I'm from Florida so I've been through my fair share of them. Just stay inside and make sure you've brought everything inside. The flooding will be the worst of it but the most of our power outages here in NC are on the Outer Banks which is pretty much underwater. You'll ride it out! One thing to look forward to is that is is actually really neat to see nature work in that way! I am totally amazed at the sheer size of that storm. I hope your family will all be safe and well during it and after it..and your Mum too. Gwen, just checking this weekend's posts today (Sunday). I didn't realize you were on the coast!!! We are feeling only the slightest effects of the storm here in Ontario. Nothing like you are living, oh right about now I'd say... I really hope you and your family are safe and okay! I'm thinking good thoughts and beaming them over to you. Take care sweet Gwen. Hugs to you and yours! I hope all is well with you Gwen! I have family in Virgina/DC area, so the east coast is definately on my mind!!! Best wishes! 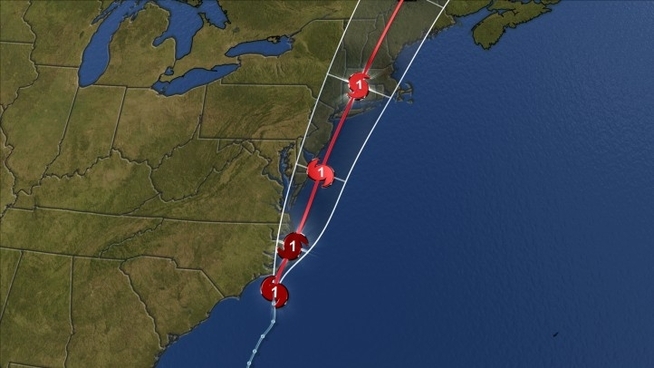 It blew right past us in Jersey (LBI is only 5 minutes away) and we had no immense damage. North Jersey was hit much worse. I hope that you are well and your family is safe.